Yeah, it’s just another weekend in Music City, Minnesota. Occasional Jazz, Shoot Lucy, Ben Aaron, Brad Myers, Elizabeth Barnes, The Zillionaires, Mr. Bill and the Karaoke Choir, Relativity, and Lydia Artymiw. Friday, February 7th: Occasional Jazz, 5:00 p.m., Contented Cow; Aladdin Jr., 7:30 p.m., Northfield Arts Guild Theater; Shoot Lucy, 8:00 p.m., Contented Cow; Ben Aaron, 8:00 p.m., Tavern Lounge; and Brad Myers, 9:00 p.m., Froggy Bottoms. 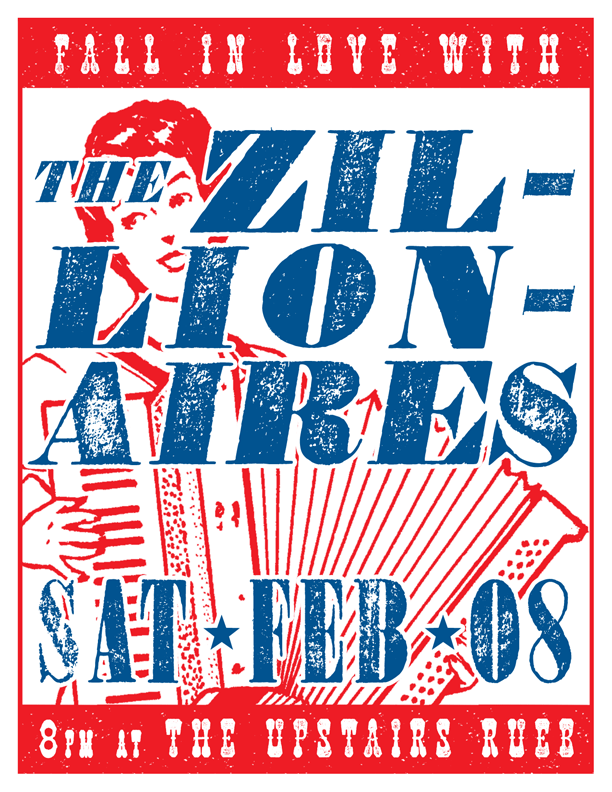 Saturday, February 8th: Elizabeth Barnes, 5:00 p.m., Contented Cow; Aladdin Jr., 7:30 p.m., Northfield Arts Guild Theater; The Zillionaires, 8:00 to 11:00 p..m, Upstairs Rueb’N’Stein; Mr. Bill and the Karaoke Choir, 8:00 p.m., Contented Cow; and Relativity, 8:00 p.m., Tavern Lounge. Sunday, February 9th: Aladdin Jr., 2:00 p.m., Lydia Artymiw; 3:00 p.m., Concert Hall on the Carleton College campus; and Quiz Night, 8:00 p.m., Contented Cow.